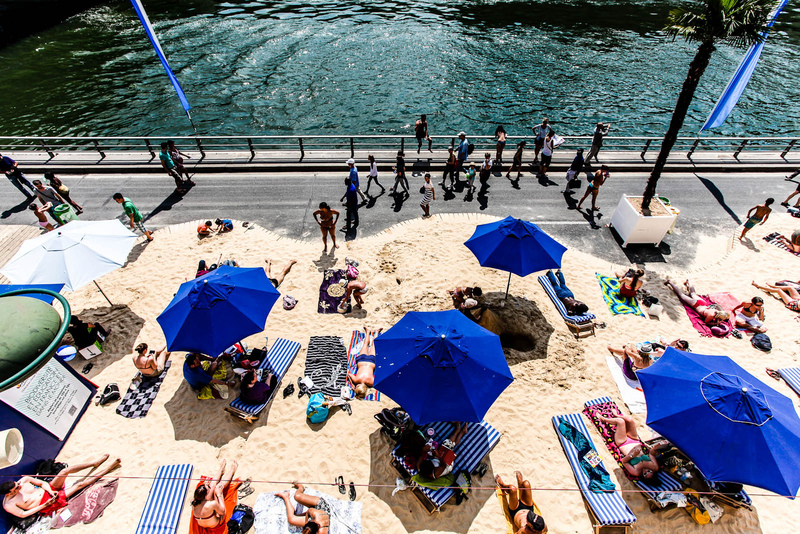 Inaugurated in 2002 by Mayor Bertrand Delanoë, Paris Plages is a temporary transformation of the Georges Pompidou Expressway along the Right Bank of the Seine into an urban beach vacation. 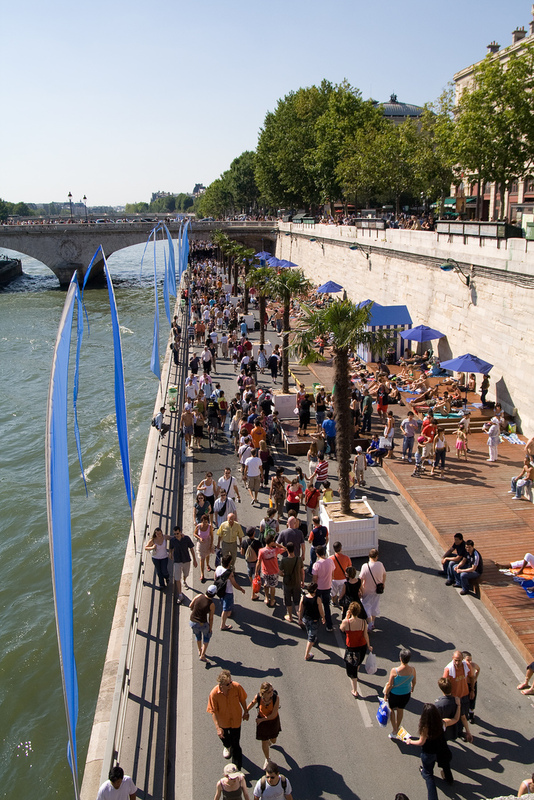 The artificial beaches are an effort to reclaim the riverfront from the automobile, attract locals who would typically seek refuge from the summer heat on France’s coast, and offer those who can’t afford an expensive getaway the chance to relax for free. 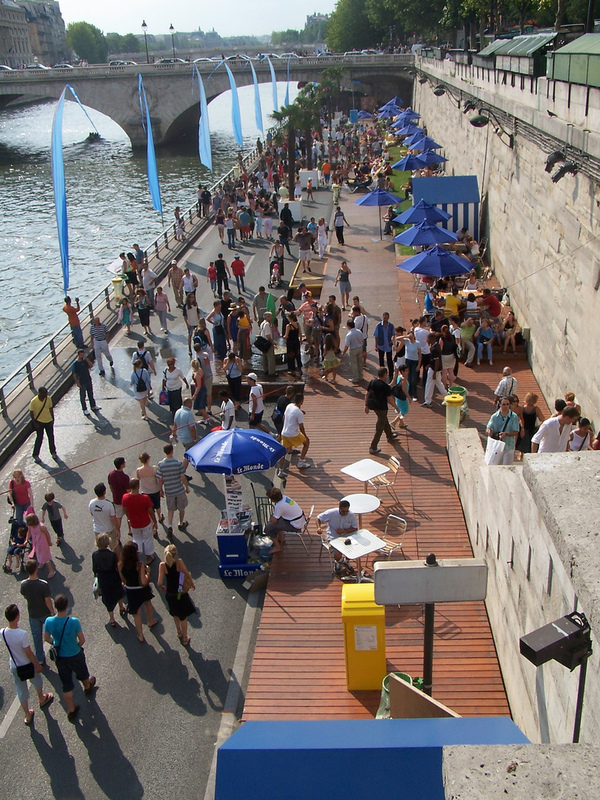 The 2-mile stretch from the Notre Dame Cathedral is closed to traffic for two months each summer when it transforms into a series of beaches, complete with sand, palm trees, umbrellas, lounge chairs, a pop-up library, and a range of recreational activities such as swimming pools suspended over the Seine, kayak stations, free evening concerts, and dancing. 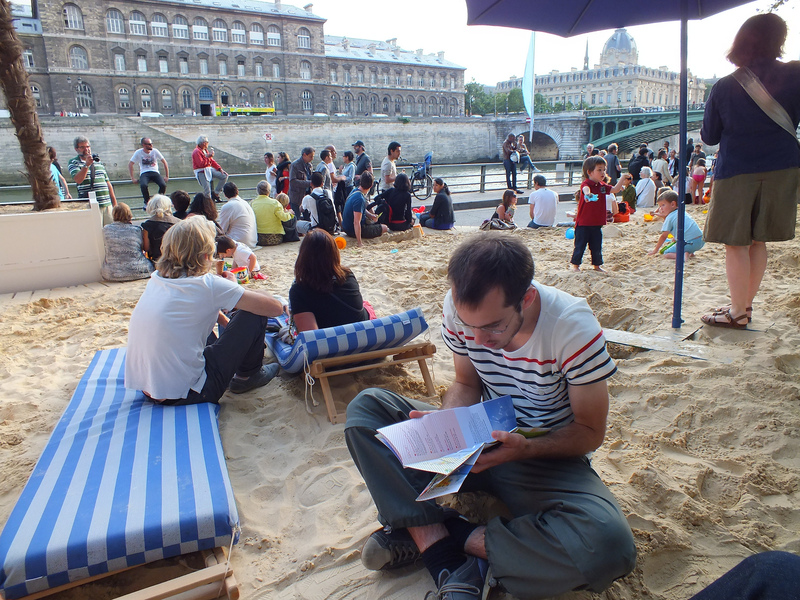 Run by the office of the Mayor of Paris, this urban beach getaway had over four million visitors during its first year, leading it to become an annual fixture open to the public seven days per week. 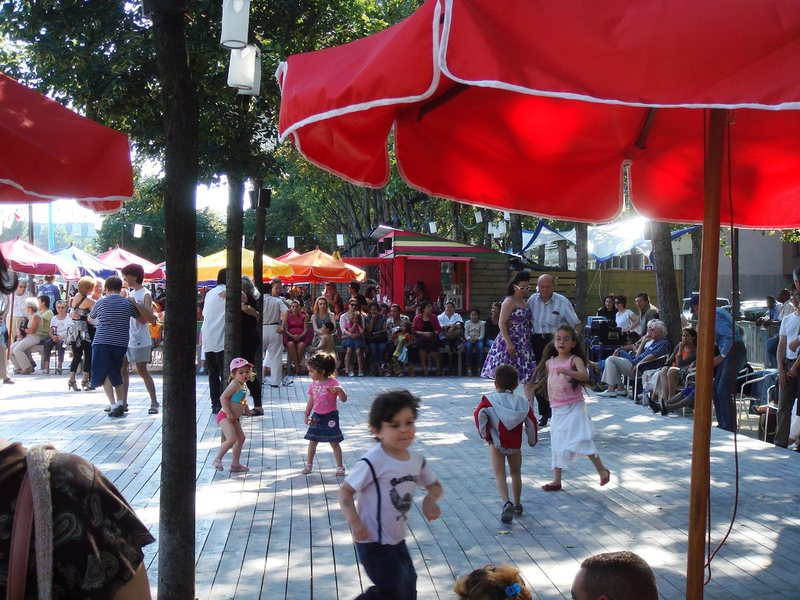 Since their opening year, the beaches have expanded to several other locations in the city, which has energized local efforts to balance the street space in Paris between motorists, pedestrians, and bicyclists. The continued success of this seasonal pop-up beach has helped reconnect citizens to their city’s waterway as well as to one another. 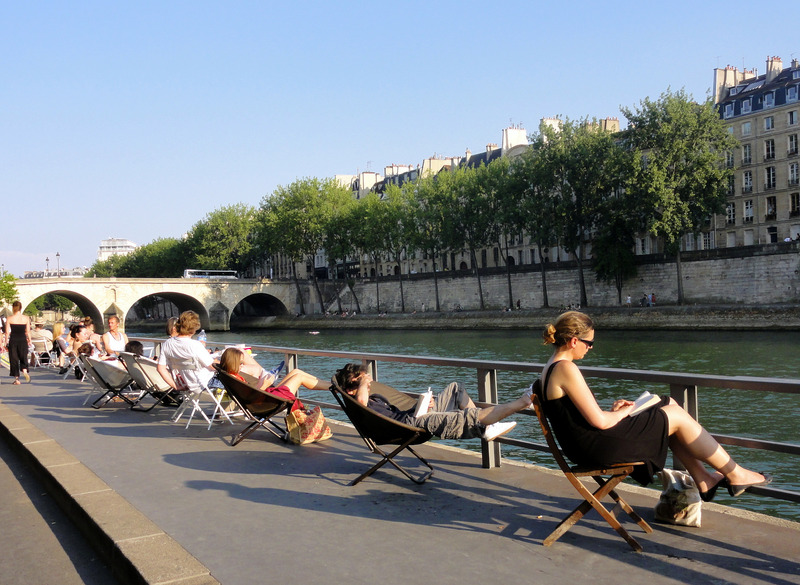 While the Paris Plages are not as light as most LQC case studies, all materials utilized must be moveable since they disassemble the Plages at the end of each summer. 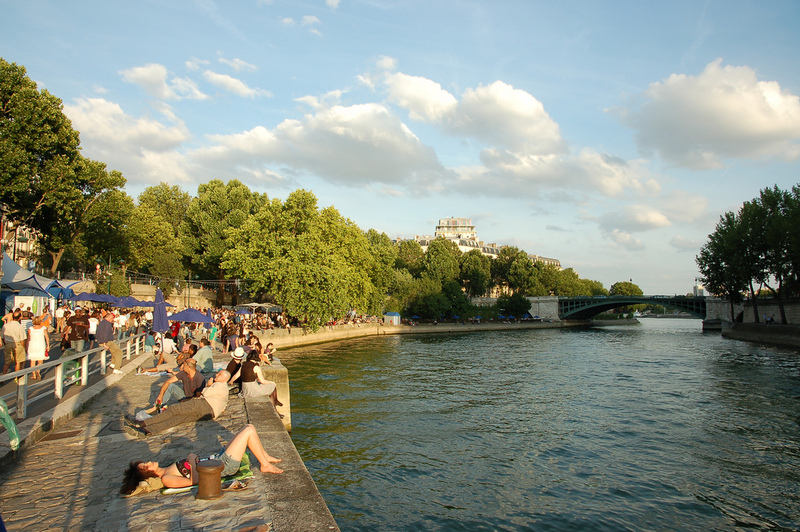 As of 2017, Paris Plages lasted from July 8- September 3. The Plages cost approximately $2.9 million U.S. dollars. Website: Que Faire À Paris? Facebook: Que Faire À Paris?